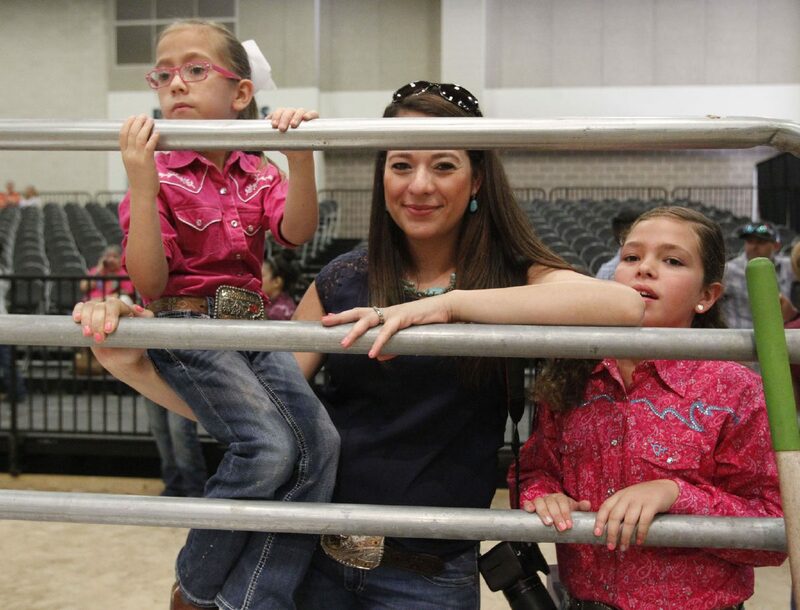 Marlyna Salinas, 5, and her mother Erica and sister Maegan, 8, watch the heifer competition at PalmFest at the McAllen Convention Center on Saturday, Oct.1, 2016. On Wednesday, the city announced it is changing the name of PalmFest to Fiesta de Palmas. McAllen’s annual festival, PalmFest, has celebrated the culture of the city since 2009. This year, in collaboration with the Mexican Consulate, McAllen is rebranding the event as Fiesta de Palmas to “focus on the regional Mexican and Tejano roots of the area,” according to a news release. The city is holding a news conference at 10 a.m. Thursday at the McAllen Convention center to announce the changes. Attendees of Fiesta de Palmas can expect live music, dance performances, diverse international cuisine and cultural activities, according to a news release. The event is September 22-23 and will take place on the McAllen Convention Center grounds. Admission is free until 5 p.m., and $5 for those 12 and older afterward. Entertainment includes Ramon Ayala y Sus Bravos del Norte with Christopher Ayala and Ramon Ayala Jr., La Sonora Arrasadora, and Los Cadetes de Linares de Rosendo Cantu. The McAllen Performing Arts Center will also host the Ballet Folklórico de Mexico de Amalia Hernandez, which isn’t included in the festival admission. Tickets will start at $20.